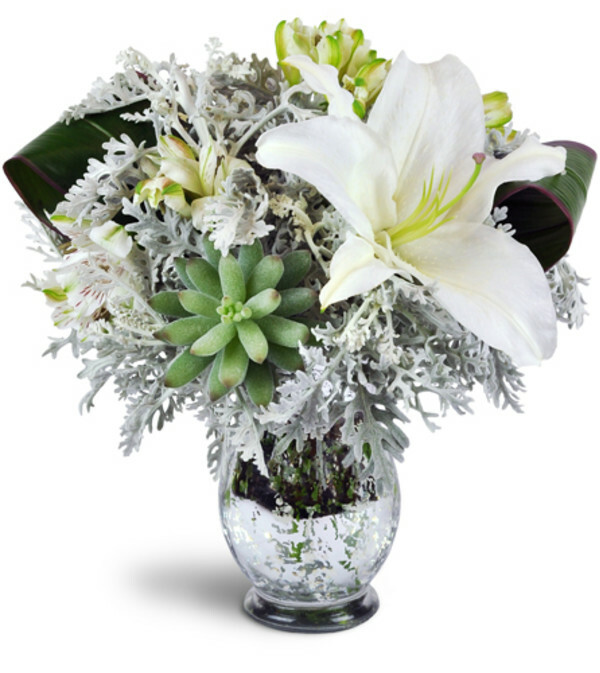 Have a modern holiday with this stunning and elegant display! 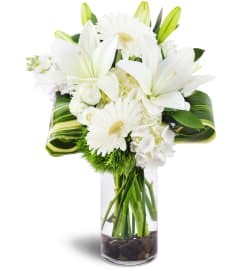 Whispery soft dusty miller and pure white lilies give an impression of snowy winter days, perfect to celebrate Hanukkah or a winter anniversary. 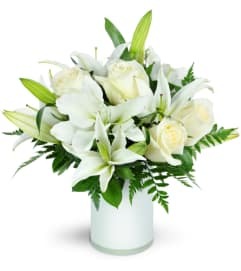 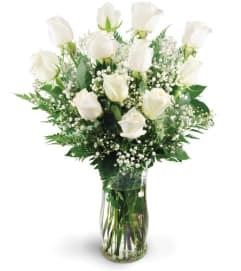 Lilies, dusty miller, and more are accented with a succulent plant in a mercury glass-style vase.